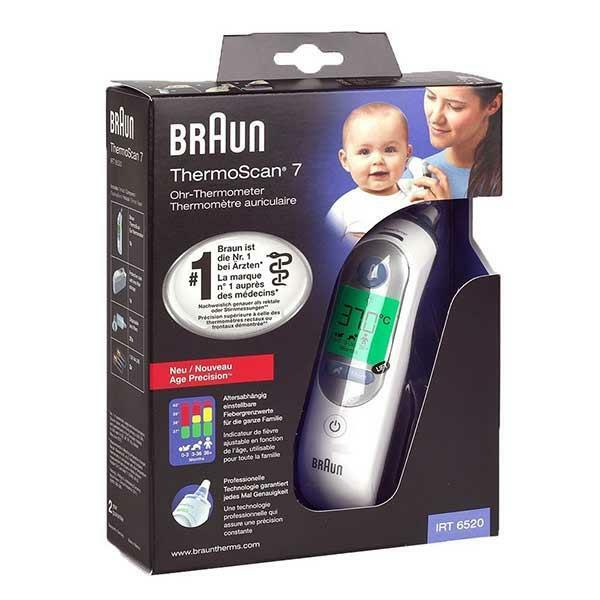 The Braun Thermoscan 7 Ear Thermometer is a must have for every parent’s medicine cabinet. This thermometer has an age precision button allowing you to select the appropriate age setting as well as night light feature which allows you to take a temperature even in the dark. You can purchase replacement lens filters here for is thermometer. The Braun Thermoscan 7 Ear Thermometer has a number of key features including the age precision colour-coded display which allows you to select the correct age setting and then will provide you with a colour-coded result making it simple to understand the temperature reading. It also has a night light feature to allow you to take a baby or child’s temperature in the dark. There is also a the thermoscan feature which is a pre-warmed tip which ensures accuracy in measurement.